Interactive and Educational Birthday Fun! 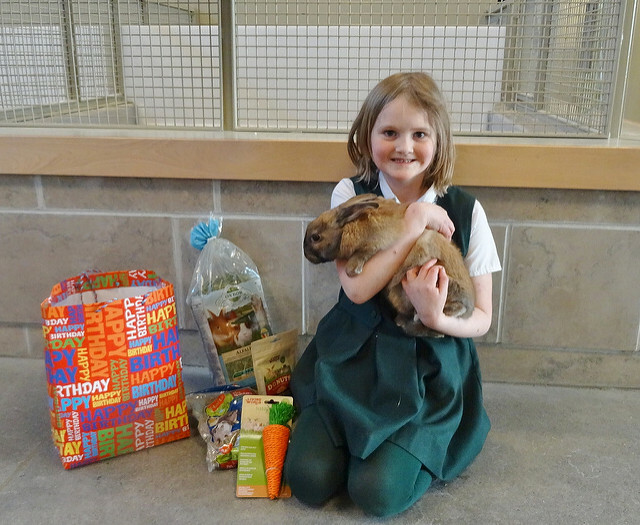 If your child has a birthday party coming up, why not celebrate with the animals? Birthdays are a chance to play and celebrate another year of growing up. We offer fun-filled birthday parties with tons of animal interaction, an interactive behind-the scenes tour and more! Our OHS birthday parties are an awesome way to help support the animals at the OHS by not only showing our shelter animals some love but also learning a bit about what it takes to be an A+ pet owner. OHS birthday parties are perfect for children who love animals and are interested in learning more about animal welfare and animal care. 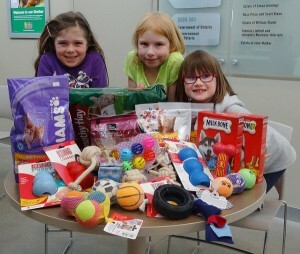 Celebrate your child’s birthday with some four-legged fun! *Please note: Friday parties are only available during the school year. 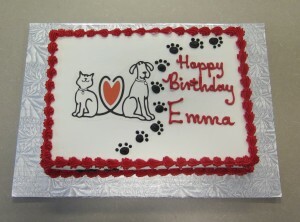 OHS birthday parties are two hours in length and suitable for animal lovers between four and 12 years old. The price of each party package is for 10 children including the birthday child, for each additional child there is a fee (please see below) up to a maximum of 20 children. Specific crafts are chosen based on availability of supplies and the age of the group. Crafts can be taken home or donated to the animals! Small animal interaction – guests will learn proper animal handling before the animal is brought to visit the party. Animals that may be seen here are guinea pigs and bunnies! Cat gallery visit – guests are invited to visit our adoptable cats in the OHS cat gallery. Proper handling and visitation rules will be outlined before entering this space. All proceeds above and beyond the costs to run the party go to the animals at the OHS! Parties are booked on a first-come, first-serve basis and you will be asked to provide your top three date requests. To request a party, please fill out our online form. To confirm your booking we will require a $50 non-refundable deposit to be paid online via a secure page. If you need more information or have questions please contact our attendant: administration reception by phone at 613-725-3166, ext. 297 or by email at reception@ottawahumane.ca.